Ever since we visited Frank Lloyd Wright's Fallingwater home last year, I've been focused on searching out interesting testiles to fill our home. 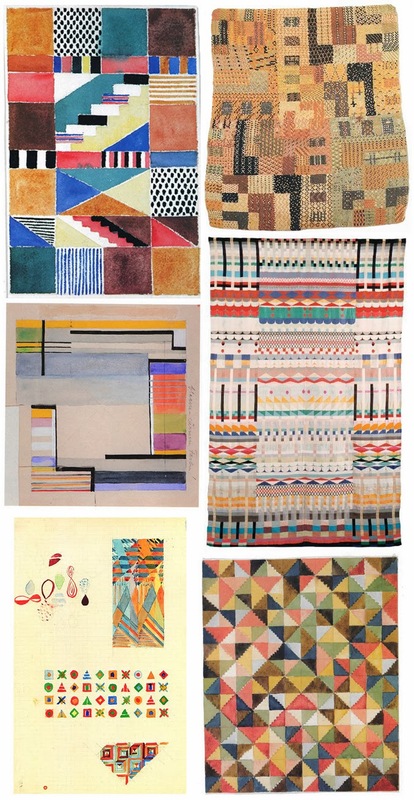 Seeing all the textile's in Lauren's Apartment Therapy tour last week reignited my search. Along the way I discovered the work of Gunta Stölzl. 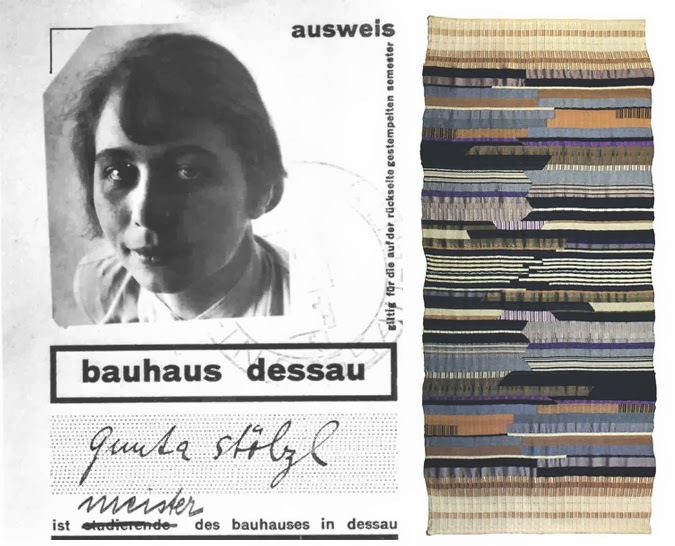 Gunta was the only woman among the masters at the Bauhaus, one of the 20th century's most important schools of art, design and architecture. She was a textile artist who played a fundamental part of the school's weaving workshop. Now her work can be seen in museums such as the Albert and Victoria Museum and MOMA in New York City. Obviously her original pieces are far out of my reach, but I love the colors and patterns in her work and for my own decorating purposes, will keep my eye out for similar designs that are inspired by her work. These are all amazing! Thanks for sharing.